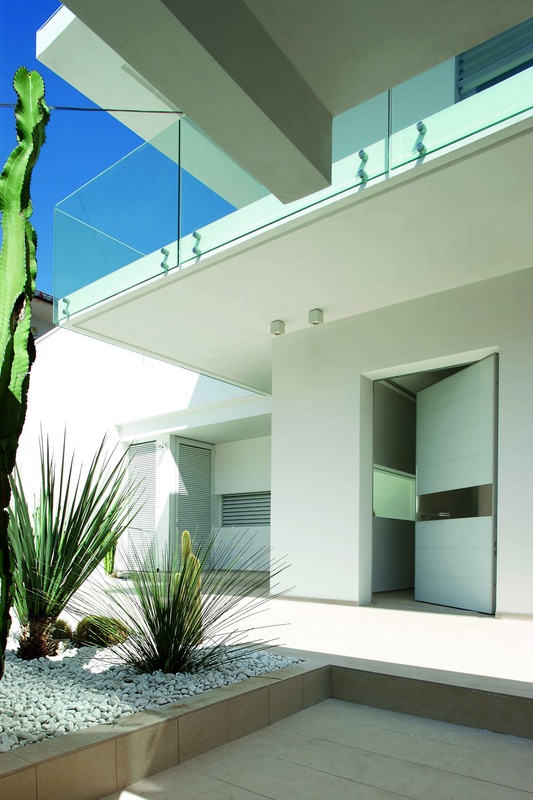 The Oikos Synua front and internal doors have numerous design features: One door with a multitude of options. The number and type of finishes, materials, and sizes, that you can specify are many. 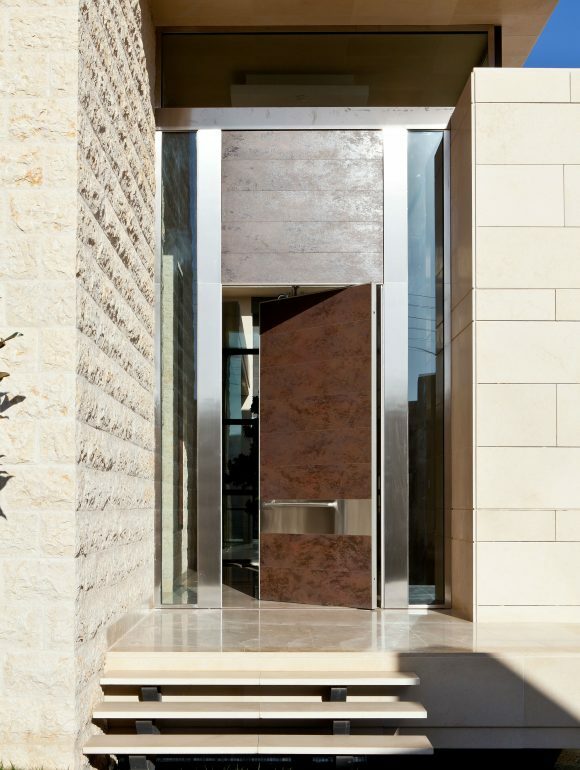 This is a bespoke door like no other. The Synua, intended for large openings, has a vertical pivot hinge operation and meets the highest standards for security and insulation. will be resisted for at least 20 minutes. We also also offer various Oikos locking options with the Synua, both electronic and manual. 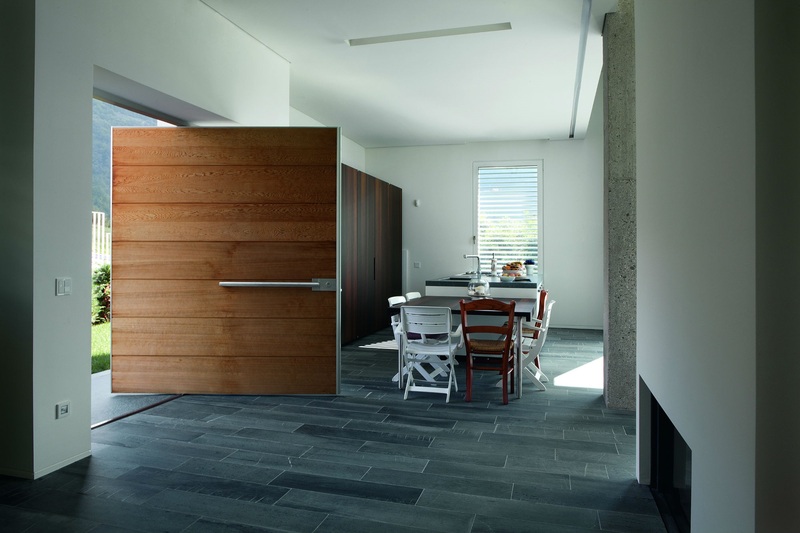 The thermal efficiency of the Oikos Synua door is shown as a U value – the lower the figure to 0 the better the insulation. The measurement is the exchange of heat between the inside and the outside. The standard door has a very low U value of 1.6. We can lower this to 1.2 if you specify the thermal kit. The Oikos Synua is also a very good sound insulator with a measure of just 38db. Acceptable air tightness is measured in classes 1 to 4. This door achieves, as standard, class 2, but if you specify the Mose kit 4, we can raise it to the best possible measure of class 4. 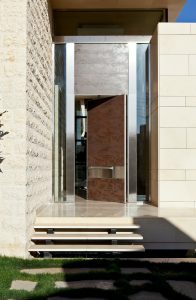 M aterials used to face the Synua doors include glass, timber, stainless steel, porcelain ceramic, acrylic stone and leather. In addition, you can enhance these materials further with a choice of colour. 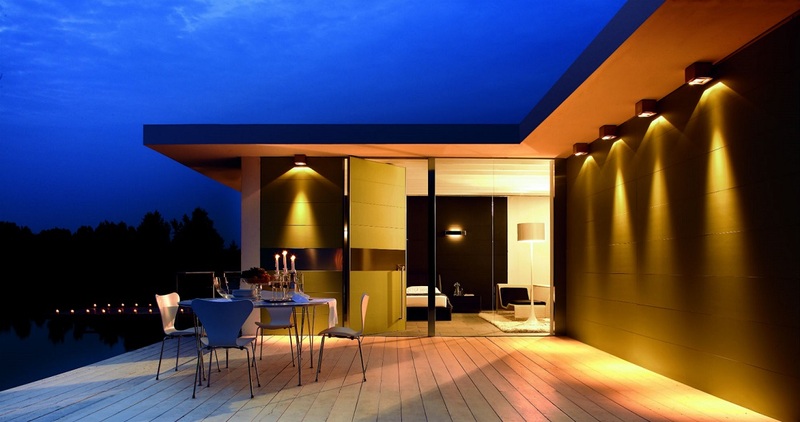 You may have glass surfaces coloured or mirror and most of the timber finishes stained or lacquered oak. Other timbers can be specified as can many other materials. Some of the standard materials and finishes are only intended for the Oikos internal doors. 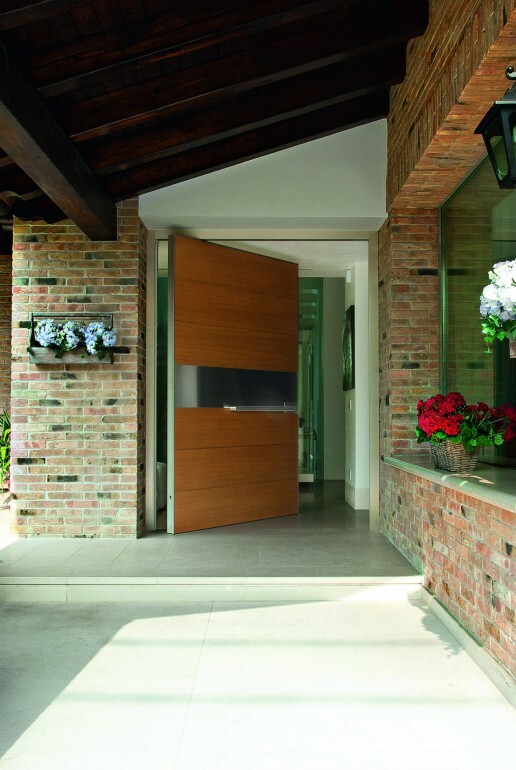 Lakes Doors are appointed suppliers and installers of Oikos doors.